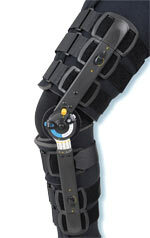 SPS is pleased to introduce the NEW Innovator DLXTM post-op brace from Royce Medical, an Ossur company. Extensive overall adjustability with touch-of-a-button ease. Gastroc strap limits migration and reduces pistoning. Removable slide-to-size struts allow for easy length adjustments from 17 to 28 in. Removable struts to shorten to 17 in. Available in cool and full soft-good versions. Cool version can be worn over pants or against the skin. Ohio Willow Woods Trailblazer MA (multiaxial), available from PEL Supply, takes the original Trailblazer foot to the next level of motion and performance. This new foot and ankle combination allows for exceptional performance and stability on various types of terrains. The Compound Spring SystemTM, composite materials, and the design of the foot and ankle provide increased deflection, energy return, and durability. 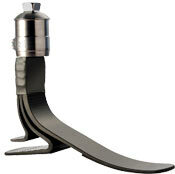 The PerforMaxTM heel allows for three heel spring options. The Trailblazer MA is lightweight (460g), has a minimum clearance of 8.95cm, and a weight limit of 250 lb. New from Endolite, the TT PRO perfectly balances shock absorption and energy management. Energy-efficient coil spring for vertical compression. 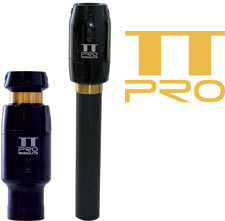 New torsion rod provides 30 degrees of rotation each direction from neutral position. New bearing surface responds over a greater range of the stance phase. Instant compression at heel strike and smoother energy return at toe-off. 30mm pylon and clamp option available. 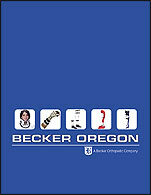 Becker Oregons first new Master Catalog is now available in both hard copy and CD. New product lines ranging from metal and leather and thermoplastic custom orthoses to prefabricated orthoses have been added to broaden the scope of our product offering. 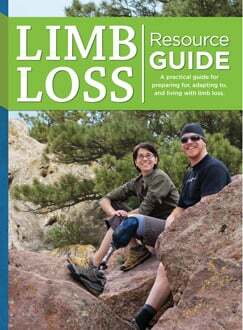 Please call us today to request your free copy. Receive a FREE 30-can rolling cooler with every SPS purchase order for a new SilhouetteTM LP or the original Silhouette prosthetic foot, manufactured by Freedom Innovations. The new Silhouette LP incorporates an integral titanium male pyramid adapter ensuring easy and secure socket attachment. Delivering the same performance and slim profile as the original Silhouette, the Silhouette LP simplifies the fitting process to save time and money. 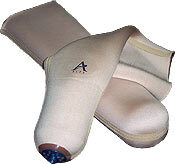 The Knee Pyramid Adapter (P/N AC-195) provides more Silhouette fitting options. A sophisticated medical device, WalkAide®, available exclusively through SPS, uses advanced sensor technology to restore functionality to those with foot drop. WalkAide addresses the lack of ankle dorsiflexion secondary to an upper-motor neuron lesion. People who have suffered a stroke, spinal cord injury, or disease process associated with disruption of the upper-motor neuron system may benefit from this technology. 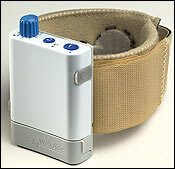 WalkAide is a Class II device with sales restricted by physician prescription and disbursement through certified practitioners. Please contact your SPS regional sales manager to register for one of the upcoming WalkAideTM training courses. Through August 31, 2007, a versatile street pak and a new four-hole female rotator are yours with every SPS purchase of the redesigned OFM2 knee by Medipro. The OFM2, a lightweight (425g) monocentric knee joint, can be used as both a locking joint with manual release and as a free-swing knee joint as the amputees mobility advances. The improved lanyard design ensures a more robust performance. The new four-hole female rotator allows fine tuning of alignment by loosening only two horizontal screws and provides full access and 360-degree rotation capability. The FullStrideTM is now available as a custom KAFO through Becker Oregon. The FullStride is a stance-control knee joint that automatically locks and unlocks during the gait cycle, providing natural movement with superior stability and comprehensive knee joint control. If the needs of the patient change over time, the FullStride can be easily converted into an automatic spring-lever lock-knee joint. Through June 30, 2007, Becker Oregon is offering a special promotion on all thermoplastic-designed FullStride KAFOs. Please call us today for details. High-performance socks with a dress-sock look! Our Healthy SolesTM socks are made with non-allergenic, high-wicking CoolMAXTM fiber with X-StaticTM silver yarn for antimicrobial protection. 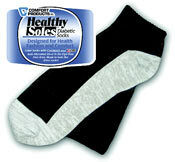 Socks come in SM, M, and LG; ankle high and mid-calf styles; and four colors (black, white, brown, and beige). Patient-friendly, non-restrictive top provides comfortable fit without compromising circulation. Advanced seaming technology minimizes irritation. Just what you would expect from the industry's innovation leader. Call us for a FREE sample. Comfort Products: The innovation leader in knitted O&P products. Practitioners can now create custom breast prostheses using OMEGA® Tracer® and ContourMeds fabrication services. A custom breast prosthesis is made by using the OMEGA Scanner to capture a highly detailed and accurate three- dimensional image of the intact breast shape in a bra. The shape is then mirrored for the prosthesis and combined with a captured shape of the incision site on the chest wall. The merged images create a breast prosthesis' front and back, matching the chest wall contours for a unique and comfortable fit. Maximum comfort intersects with durability and economy at SPS in the form of the GP (general purpose) gel liner. This unique gel liner combines the softness, strength, and elasticity of the ALPS EasyGel with the comfort, durability, and pricing users need. New distal-end encapsulation; retrofits most liners on the market. Warranty: one liner-12 months; two liners-24 months. Both locking and cushion versions available in 3mm/6mm uniform configurations. 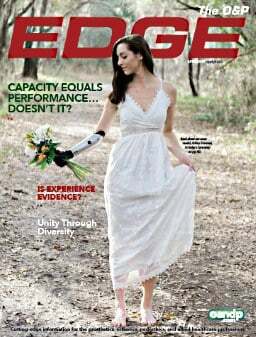 ISO Technologies Inc., a leader in custom foam fabrication, is pleased to offer ISO Fab Rigid Foam for the prosthetics and orthotics industry. Suitable for any carver, ISO Fab Rigid Foam is available in all common sizes for BKs, AKs, TLSOs, AFOs, and KAFOs. Custom orders are always welcome. At ISO, our only business is foam, so we can keep the prices low without sacrificing quality. Complete billing and collection service, using LIVE HIPAA-compliant customizable software (no additional fee). Operational reports enabling you to maintain a low cost of goods. 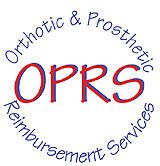 OPRS is on the leading edge of the latest updates in the O&P industry. Customized services to meet the diversity in all O&P facilities, large or small. Complete billing service from initial claim submission through patient statements. Too small for staff? We provide front-office insurance verification and data entry. 100-percent electronic claim capability to expedite cash flow. The WPC Compressor from Westcoast Brace & Limb has proven to be effective in minimizing the pectus carinatum deformity in mild to moderate cases. Three design styles depending on severity and gender. KISS (Keep It Simple Suspension) eliminates pistoning and rotation in the prosthetic suspension for exceptional proprioception and control as well as increased hip tracking throughout the gait cycle. KISS accommodates any contracture; supports active, pediatric, and geriatric levels; and is equally effective on fluctuating volume and mature limbs. Designed for control and comfort, KISS suspends distally or proximally. Ultra-low build height (3mm adult, 2mm pediatric); infinitely adjustable and customizable. Thermoformed, laminated, or endoskeletal attachment. KISS has no mechanical components, no pin ratchet, is water and shock proof, and accommodates for growth. All these straps are available in several widths, lengths, and colors. Why spend time fabricating a strap when we have it in stock? Custom straps are available with small minimum requirements. Call us for details. We also stock carbon and fiberglass braids, PVA sleeves, chafes, rivets, Dacron, and Velcro® brand hook and loop at discounted prices. Is your valuable equipment in need of service or support? 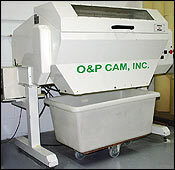 Call O&P CAM Inc.! We have over a decade of experience supporting CAD/CAM in O&P and are available to support your PDI, ART, Seattle, MIND, ABT, or Provel equipment. Rates are reasonable, and your satisfaction is guaranteed!